in various industries, with state of the art systems. Global Recovery Team offers many types of services to meet your needs. 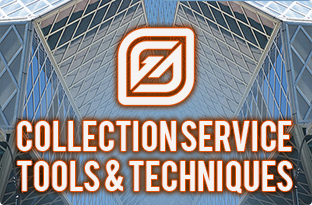 We are dedicated to be your full service debt collection service by increasing your bad debt recovery professionally, while preserving your image with your client. 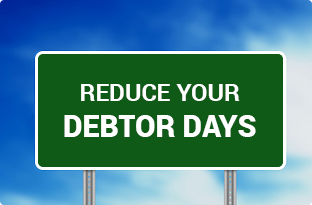 We work hard with debtors to come to a resolution in a timely manner. Most work with us immediately. We provide courteous reminder calls for your clients, about a 15 to 30 day balance. We also send reminder letters, if requested, This service is done in our office usually on these type of balances, clients request, we call as them. It is as we are acting as your back office collection department. It works very well, and saves you a lot of time and money, also saves on staffing. Collections as required by law starts with a 30 day letter, that states that the debt has been referred to a debt collection agency and the debtor has 30 days to dispute the debt, or it is assumed valid. After the initial 30 days, calls start on a timely and professional basis, to recovery funds. A letter series will also start, at that time, if requested debtor is also reported to credit bureaus (If client wants). We tailor our programs to meet your needs, and everything is flexible, as different clients have different needs. As always, we do not get paid, unless we collect! We also have attorneys we use if this becomes necessary to resolve the debt legally. We can collect and enforce on your outstanding judgments, place liens on property, wage garnishments etc. We can also assist you in obtaining judgments though our network of attorneys and follow through with enforcement of the judgments. This is a Business to Business collection service for commercial entities to collect for outstanding bills, from vendors and any other type of business. The process is similar to other collection processes where initial demand letter is sent. Commercial Collection Laws differ from Consumer Collection Laws. These accounts are also reported to the commercial credit agency source. Again, with Commercial Collections, we have many programs to fit your needs. Upon assignment for collection the 1st notice, “Notice of Default,” as required by the Fair Debt Collection Practices Act, is sent to the consumer, which includes the federal validation statement. The account is then referred to a collector who will make follow-up calls and further action. We would love to have the opportunity to discuss your situation and see how we can help you recover your funds. Copyrigt © 2015 - Global Recovery Team All Rights Reserved.